I thought I'd try something new and review a book while I'm only mid-way through it. Ok, so I read the criticism on it so I may have an idea of how things turn out, but the bulk of it I'm still uncertain about. This is my first venture into Joyce territory and I must say that I like his style. Stream of consciousness is as always confusing (though not nearly as confusing as Virginia Woolf) so it takes some getting used to, but I think I have a handle on it. A Portrait of the Artist as a Young Man is a mouthful, so I'm just going to call it Portrait. In Portrait we are shown the mind of young Stephen Dedalus. 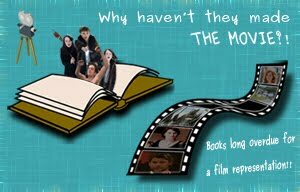 The novel beings from a very young age and jumps to his adolescence and his experiences at school. Stephen has always known he is different. He sees the world in his own peculiar way, and due to this, is somewhat of an introvert. He has brilliance and soon overcomes his shyness but the reader, to whom his inner mind is revealed, always sees his hesitance and timidity. The novel tackles some of the political and religious issues of the time. 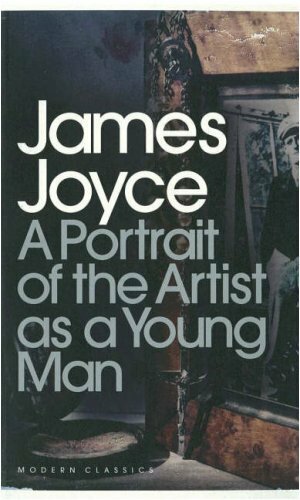 As the novel is semi-autobiographical, it is natural to compare it to Joyce's actual life. Joyce skillfully handles Stephen's feelings and confusion over his guilt (about what, you'll have to read and find out!). From chapter 3 onward we are made aware of Stephen's sin. Stephen is, as already said, a representation of Joyce. 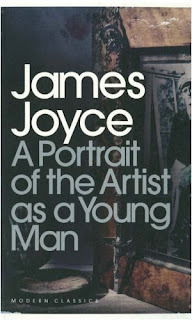 The struggles he goes through show us the making of the man we know as Joyce. It is illuminating actually to see the development of an artistic child. As compared to Stephen Hero, the revised version of the novel Portrait deals with not just the education of a child, but his artistic development. He struggles with the concept of sin and this struggle makes him a man. I have read up to the possibility of Stephen entering the church. It is now that we will see how he deals with his 'penance' and feelings of guilt. Has he gotten over them and become a new man? Or will he follow something that he never truly believed in? See you guys when I've read more! I sometimes start reviews before I'm completely done because it's a great way to keep a record of my thoughts as I'm reading. I'm not familiar with James Joyce's work but now that I'm reading Hemingway I see that they were colleagues and am curious about Hemingway's admiration for Joyce. Really? I didn't know that Joyce and Hemingway were colleagues. 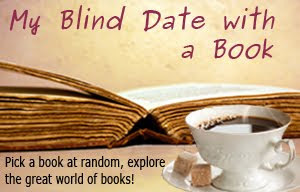 Reading about the lives of authors really changes the way you look at a novel! Yes, apparently so. Although I'm not sure about the details other than Hemingway mentioning Joyce favorably in A Moveable Feast, a book I loved.